Vern Nicholson, Author of The Asterisk, discusses the NFL’s new roughing the passer rules on the Stephen A. Smith Radio Show at ESPN. There’s agreement with Stephen A. Smith right before he discusses his take on the impetus for said rules. It’s not a matter of lawsuits more than it’s about profits. Legalized gambling, Fantasy Football enthusiasts and viewership ratings have more to do with the rule changes than safety. We can all agree that rule changes threaten the integrity of professional football competition in America. 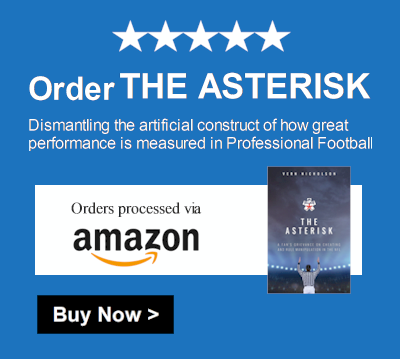 You can purchase The Asterisk at Amazon.com.